AYS was founded on the ethos of providing clients with the most consistent high quality service at a cost efficient rate and we are proud to announce that we have gained ISO 9001:2015 accreditation a certification we have held since 16th February 2005 which is testament to the high quality we provide. 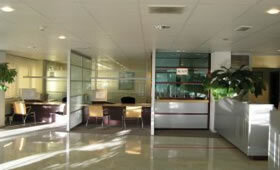 Well managed businesses know that providing a pleasant, clean working environment has considerable benefits. Employees morale improves and they are therefore more highly motivated to perform. Customers perception of your business improves and a more professional and cleaner company image is generated. We strive to offer the very highest standards of customer care by ensuring we have a thorough understanding of our clients' needs. To achieve this we carry out a thorough survey of your site and after discussing your needs we put together a tailor made contract to meet with your requirements. We also don't just send the quote in for you to make sense of but we present the quote to you ensuring that the specification is one that you require. We ensure we have a thorough understanding of their needs and place a great emphasis on establishing a close working relationship from the first initial meeting. As we predominately operate within 75 miles of our management base we are able to ensure an intensive and outstanding service for every client. . This and our internal procedures support our reassurance of continuity of service by providing cover at the shortest notice in unforeseen circumstances our quality process is completed by meetings with our clients and AYS Mangers form anything from weekly to monthly, depending on our customer's requirements to review our performance. We consider customer feedback to be vital as it helps us to maintain the quality of service we are proud of. AYS consistently re invests within procedures that will assist us in providing our customers the best possible service. To this end we request that all of our operatives 'phone in and out' to an automated messaging service within AYS which not only covers the required level of care for the lone workers but also alerts AYS's managers to no shows or late attendance and provides timed attendance records for your peace of mind. 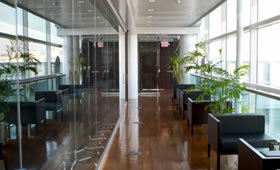 With over 40 years experience in commercial cleaning our company strives to exceed your expectations. You can rest assured that we will implement a thorough cleaning programme to your exact requirements.